Inspired by a Book: Worm Towers! Home » Inspired by a Book: Worm Towers! Over the summer holidays I went through all the children’s gardening books we have at home and PudStar became very keen on one in particular, ‘Yucky Worms’. I’m always on the lookout for simple gardening activities (TIME!) to do with Pud and after reading this book – worms it was. In keeping it simple, we decided on a ‘worm tower’ as I like that they are just incorporated into the existing garden…somehow seems less work? 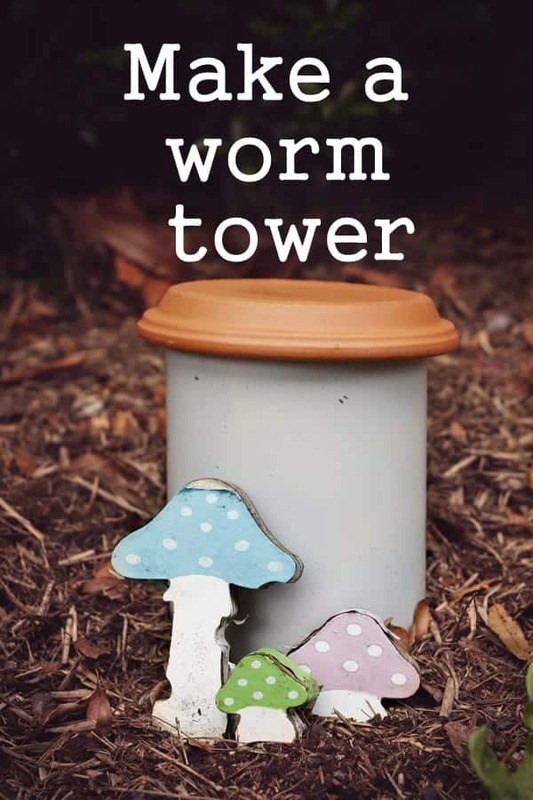 I do have two fabulous worm farms as part of my ‘Earth Angels’ group at school – but was keen to try towers at home. We followed the instructions here, and below is a simple diagram that helped Pud to understand the concept. Image credit and link to further instructions here. Our two worm towers took Dan and PudStar just an afternoon to install…with two biscuits, apples and drink breaks and just one tantrum break: not bad for Pud. Time will tell if our towers are a success. We’ve only had them three months but they seem to be chomping through our kitchen matter efficiently and PudStar is loving feeding them. EDIT: nearly 18 months on, one tower is still churning through food, the other never seems to work! But the one that does work is amazing! Written by Vivian French and illustrated by Jessica Ahlberg. 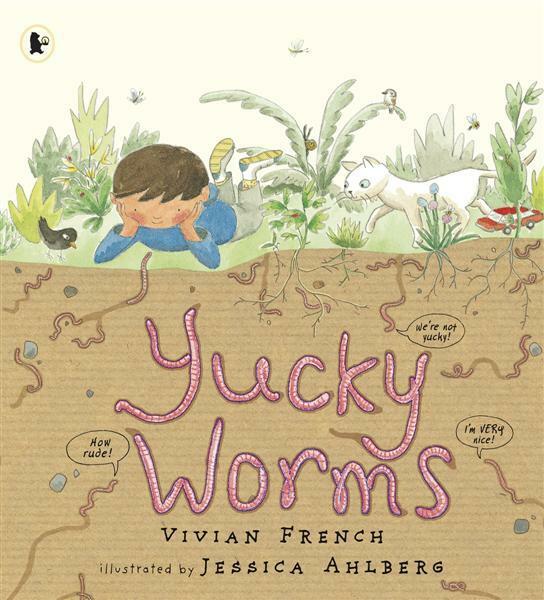 ‘Yucky Worms’ is a must have for those interested in gardening and sustainability. 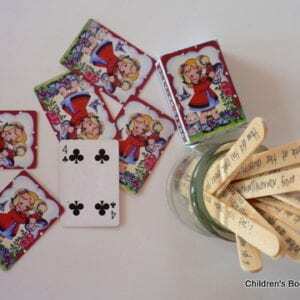 Perfect for a unit of work in an early childhood – middle primary classroom. Initial reaction when you say you’re going to read a book about worms is giggles and YUCK but then there is SILENCE as they listen, learn and are engaged in the story. Laughs again as worm poo (castings) is mentioned…gotta expect that. Poo and wee is always going to elicit hysteria. I love a book that combines an engaging story with factual information. The story alone is informative, but there is also text boxes and break out sections of text which further explain worms and their workings. There is a great guide at the back on ‘Being a Wormolgist’ and an index also…I am a big fan of an index. The book is English, and does make mention of badgers on one page but other than that the information is universal. 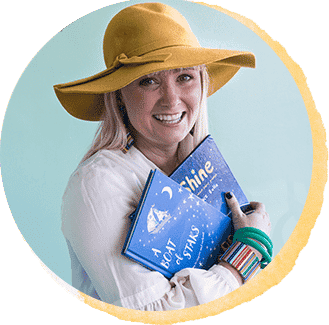 The illustrator, Jessica Alhberg, is the daughter of the renowned author/illustrator team Janet and Alan Ahlberg who have created some absolutely timeless picture books over many many years. Use the ‘How to Be a Wormologist’ guide at the back to ‘look out for’ and ‘experiment by’. Using the book as a guide draw a worm and label its parts. Next to your worm diagram write a list of all the things that worms need. 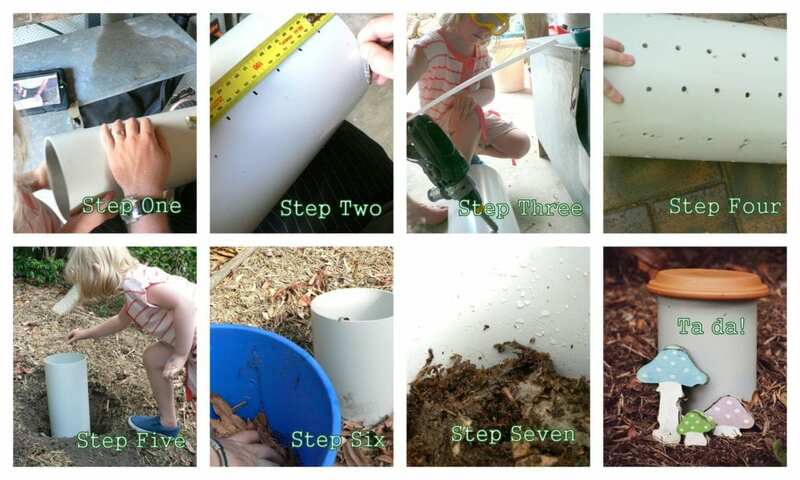 If you have a worm farm at school or home…investigate! 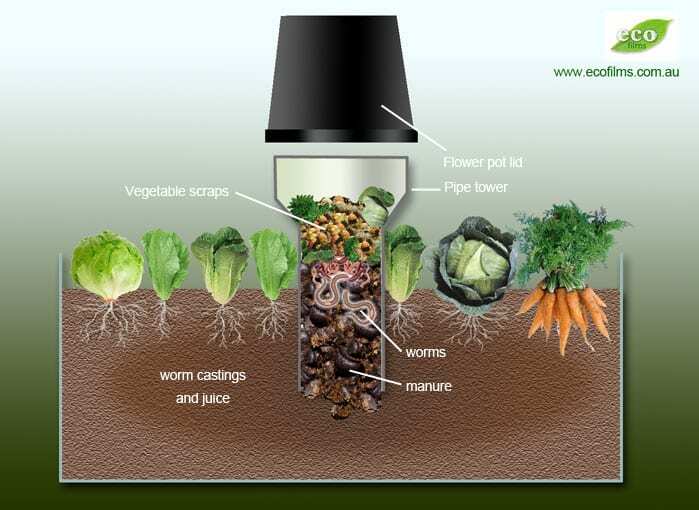 Think about starting a worm farm or worm tower. Here are a few pics of the construction process!